We visit my husband's parents house every Saturday and there are always jars of candy there for us to snack on. This is my favorite! How lucky, your in-laws must know these are your favorite. I could do my famous magic trick....and make them disappear!!! Yum! What kind of m &m's are they? I really like the new preztle ones. I am so weak with chocolate. Great fun, though! 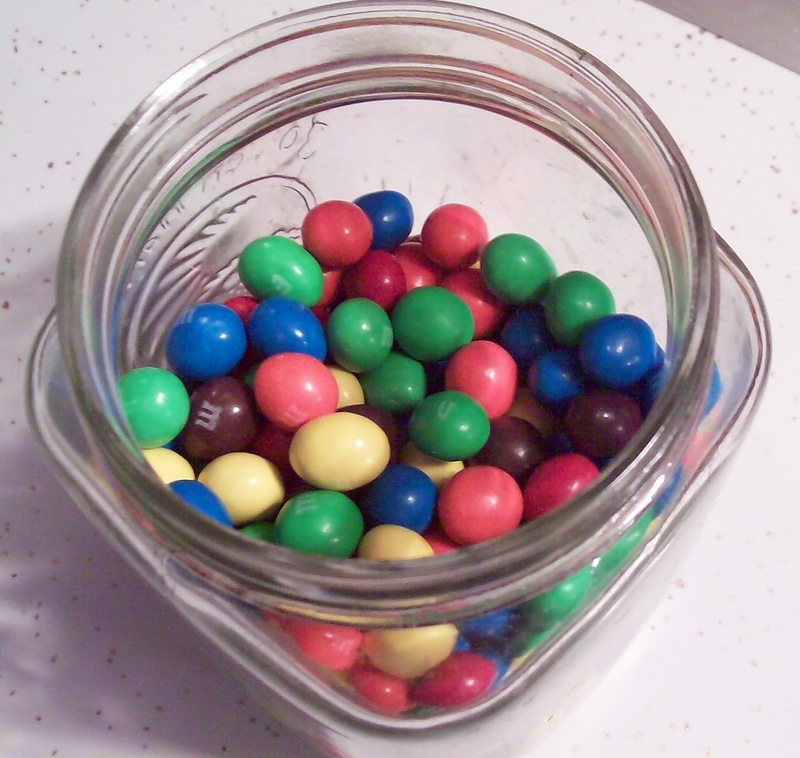 Peanut M&M's. I never tried the pretzel ones yet! They sound good. I can eat a whole packet of those no problem...great shot makes me want to buy some! Nice pic, simple, colorful with clean lines. And what a nice subject :D Mouth waters.